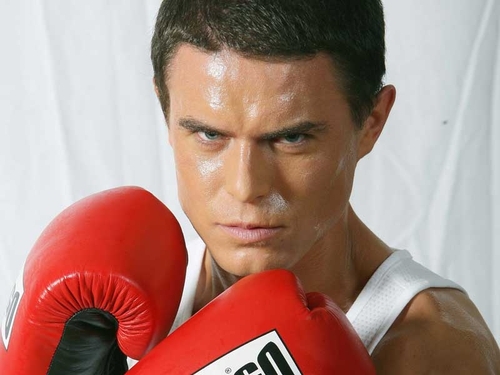 Television presenter Rob Ross has said that he is looking forward to getting into the boxing ring to compete in 'Charity Lords of the Ring'. Speaking to RTÉ.ie yesterday, the 'ICE' presenter said of his chances in the show: "I would say I have potential, yeah." "A lot of them have picked up injuries and I haven't really gotten many punches in training... I nearly would prefer if I'd gotten a few more. I'd know better what I was going in for... In a civilised society you're not used to getting a clip every so often!" Speaking about the rivalry in the boxing camp, he said: "I think there's very little rivalry really." "It's not a great situation you find yourself in because you're training with them and you become good friends with these people and then you've got to face off in a ring." Read the full interview with Rob Ross here. "Everyone has their different attributes, like Jack Sheedy is a big man. Maclean Burke and John McGuire are big men and they can box. I wouldn't have enough of a technical eye to spot the ones who are going to do well." Ross also said that he would love to win the show: "I'd love to. I'd love to win, yeah I would. I would love to win, there's no doubt about it." Speaking about his chosen charity, he said: "It's brilliant that I'm doing it for CARI and it's brilliant I can make money for people and hopefully I'll make a decent amount... it pushes you on as well."